Resplendent is hardly a strong enough term to describe the elegance and beauty of Half Century House at Sugar Hill. 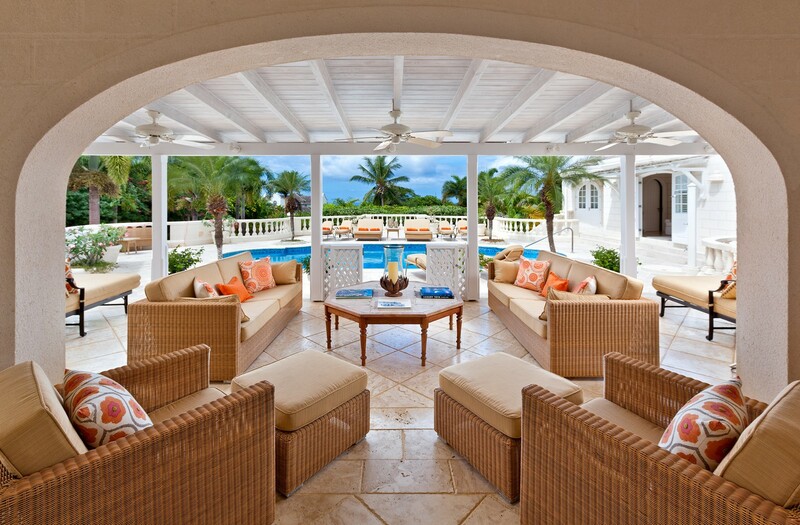 More than a villa, it is an estate-like property with a long list of world-class amenities in addition to a prime location in the exclusive Sugar Hill Estates of Barbados. 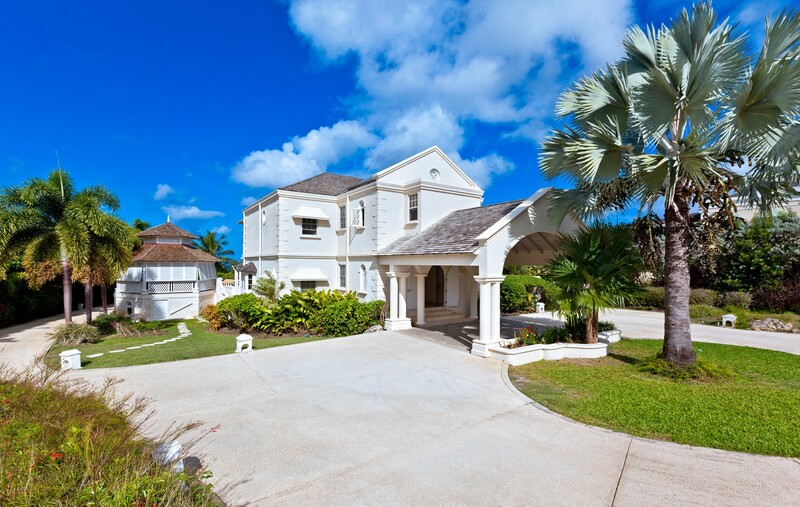 The Half Century House impresses at first sight thanks to its elegant circular drive, landscaped grounds, and classic Caribbean style and design. 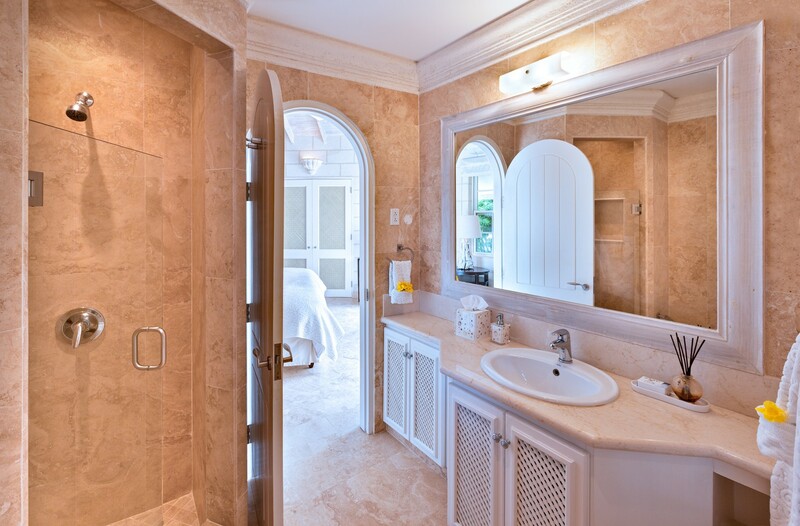 Stepping into the home, from beneath the porte-cochere, guests are greeted by an airy and elegant foyer that takes them up to three of the bedroom suites. 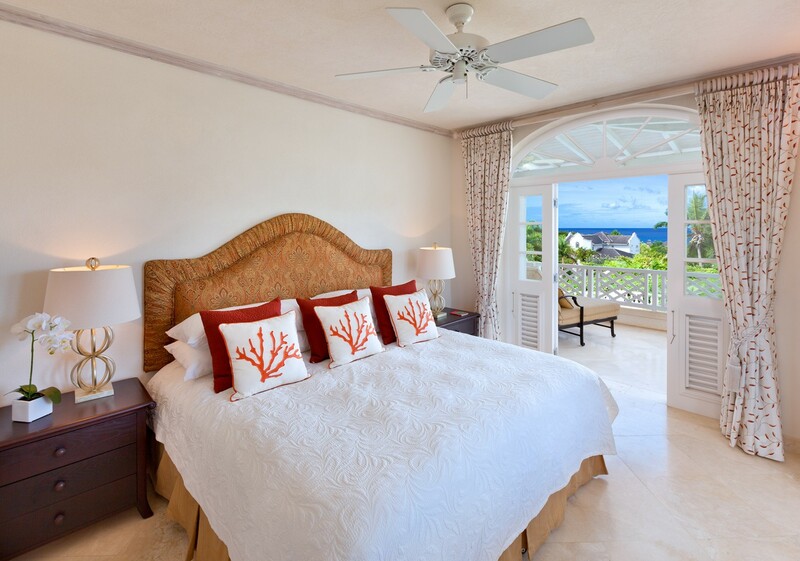 On the lower level are the many living spaces tastefully decorated with optimal comfort, and the ability to enjoy the Caribbean setting while still indoors. A sunken living room is a natural transition to the pool area, but the ground floor also has the gourmet kitchen, dining area, and another bath. Staff includes a cook and maid at all times promising a completely relaxing getaway for groups, families, or even those enjoying a small destination event. 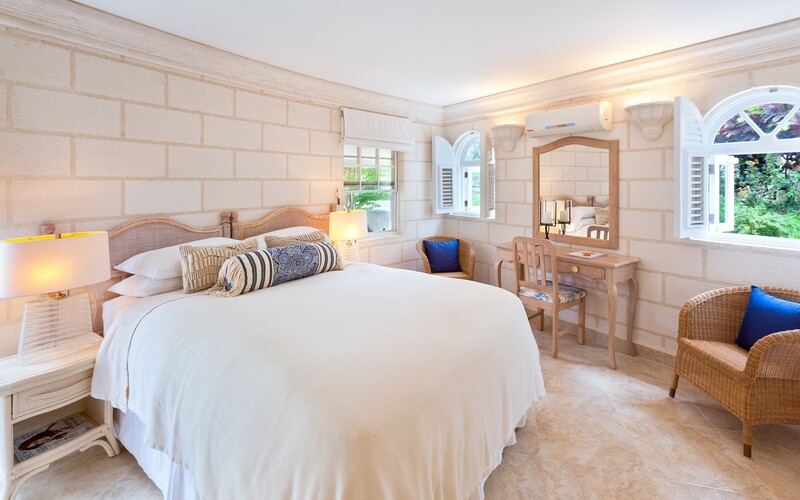 Oversized doors and windows allow sea breezes, the scents from the garden, and the glorious sunlight to entice visitors out to the patio and swimming pool area. 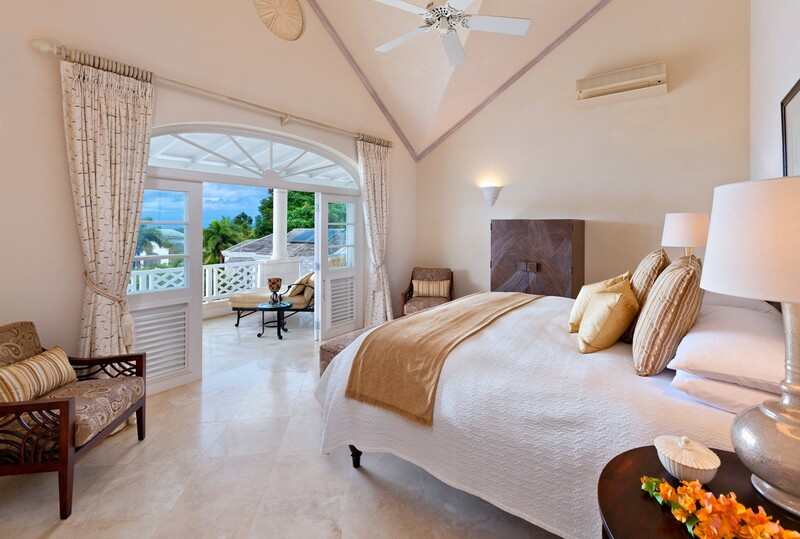 Here guests may opt to use the attached cottage, which houses the fourth and fifth bedrooms and leads to the pool terrace, as well. From the pool area guests can descend to a private garden, or they may choose to head to the clubhouse with its fitness center, tennis courts, and another larger pool. 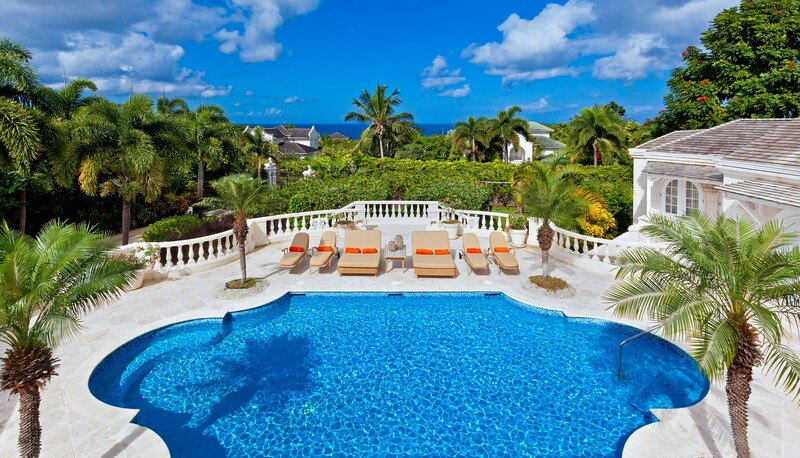 Villa Half Century House offers its guest complimentary membership at the exclusive Fairmont Royal Pavilion which allows you to enjoy the beautiful beaches of Barbados and an onsite restaurant. 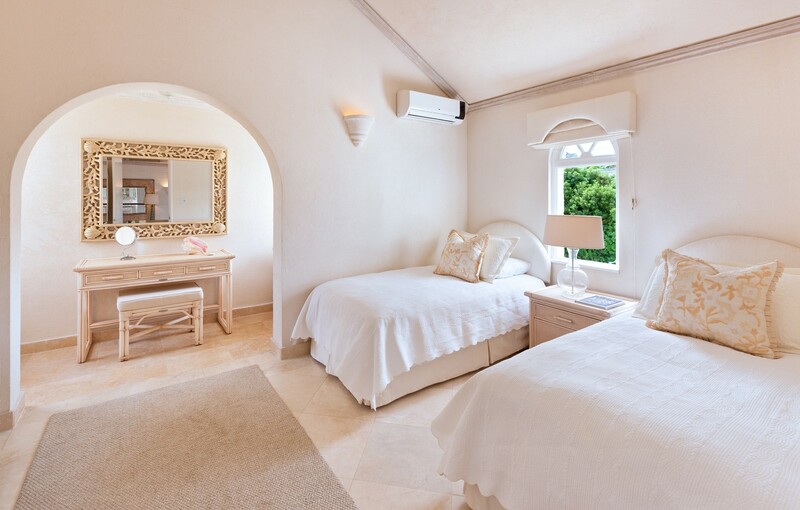 The front bedrooms within the villa open to the upper balcony and provide views of the sea, while there is a twin bedroom across the hall perfect for children. Each bedroom features an en suite bath, luxury bedding, and a host of electronics that includes Internet access as well as sound systems and entertainment equipment. 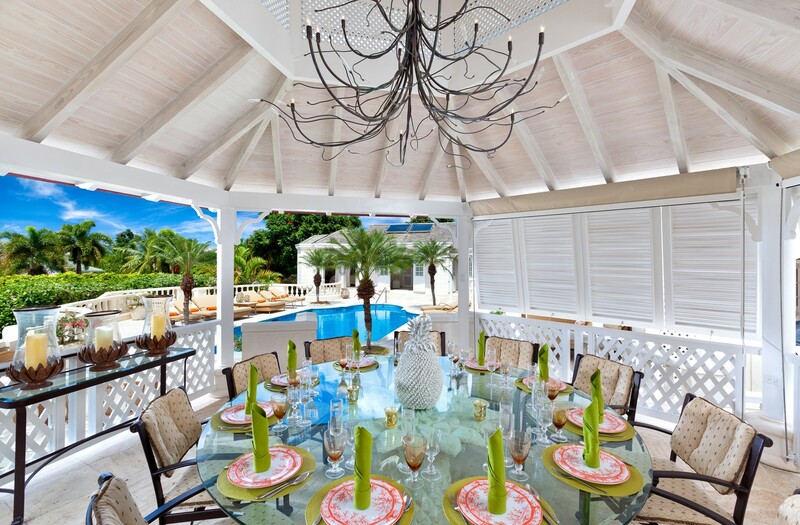 Whether you want the ultimate family getaway or an exclusive place to enjoy group travel to Barbados, the Half Century House at Sugar Hill will provide a truly dream destination. 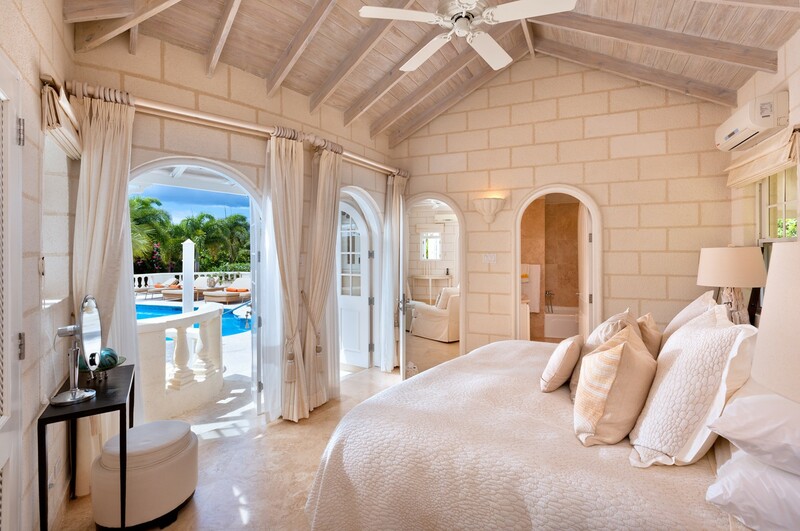 Bedroom 1: Master bedroom with a king-size bed, A/C and en-suite bathroom with bathtub, shower, vanity and WC. 2 guests maximum. Bedroom 3: Bedroom with two single beds, A/C and en-suite bathroom with bathtub/shower, vanity and WC. 2 guests maximum. 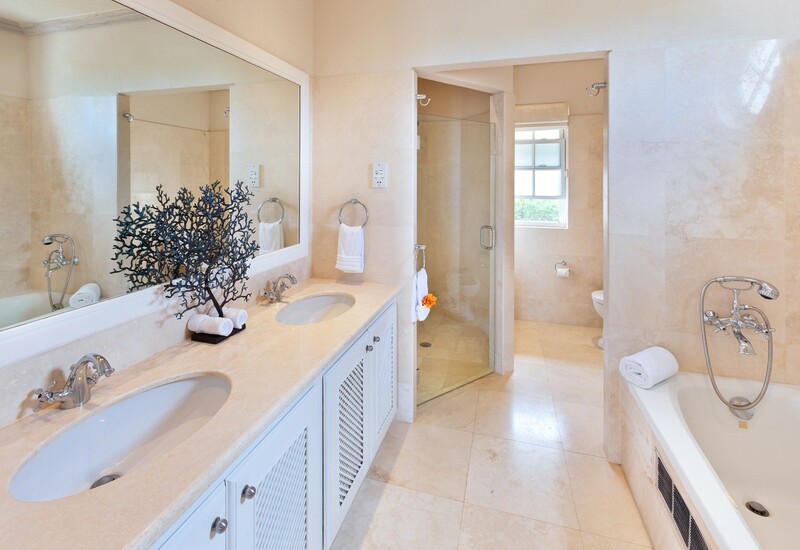 Bedrooms 4 & 5: Bedrooms with two single beds (can be made up as a king-size bed), A/C and en-suite bathroom with bathtub, shower, vanity and WC. 2 guests maximum. Bedroom 6: Bedroom with a queen-size bed, A/C and en-suite bathroom with shower, vanity and WC. 2 guests maximum.